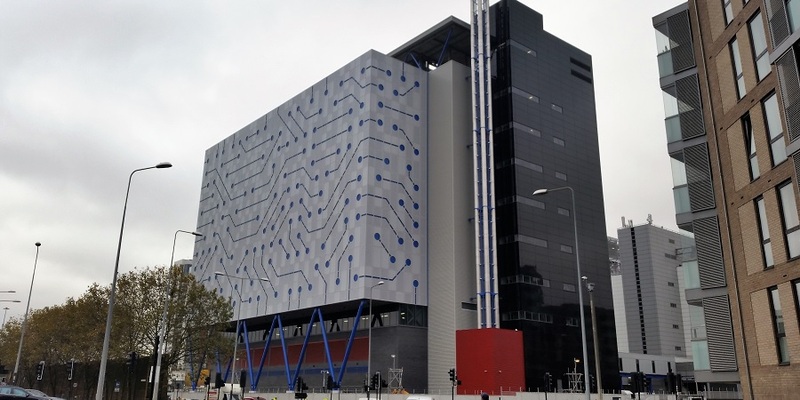 Telehouse North Two opened for service towards the end of 2016 and is the fourth data centre on the Telehouse Docklands Campus. It offers some 80,000 square feet of net technical capacity over 7 floors at a high average power density of 4.5kW per cabinet. With total capacity of 3700 cabinets, Telehouse North Two can support an IT load of 16MW. Whilst North Two will definitely benefit from the longest carrier list of any European data centre next door in Telehouse North, direct carrier access will take some time to build up, as it did in Telehouse West which opened in 2010. However, North Two is already one of three official AWS Direct Connect sites in London which will help pull carriers into the building. Overall North Two offers a significant, modern and ultra-efficient increase in capacity to this strategically important data centre campus. Clients wanting to maximise network access will still prefer Telehouse North but for higher density power users wanting reasonable network choice of 4.5kW per rack or more, North Two will be an attractive option. Telehouse North Two is an ultra modern 7 floor data centre building adjacent to Telehouse North and Telehouse East and securely anchored as part of the Telehouse Docklands Campus. Across the data floors cabinets are housed in “PODS” with hot aisle containment (the first such use on the Telehouse campus) and each cabinet benefits from 2(n+1) power feeds. A typical floor will support just over 500 cabinets each. Telehouse estimate the facility will run at a PUE of only 1.16, an outstandingly low figure for city centre located data centre and achieved by their installation of the worlds first multistorey adiabatic cooling system and explains the buildings large “gross” footprint of nearly 250,000 sq ft, the bulk of which is to support the enclosed steel gantry space housing the cooling plant for each data floor. Suites inside Telehouse North Two are TFM270 on the 7th floor down to TFM210. Being part of the Telehouse campus means North Two benefits from overall site security, with access remaining through the central security control point. All the ISO accreditations also apply,including ISO27001 and ISO9001.